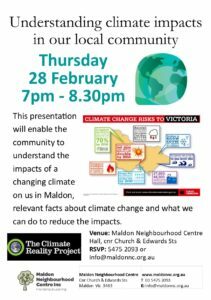 Maldon Neigbourhood Centre is holding an event to help the community understand the local impacts of a changing climate. For further information please see the event flyer below. 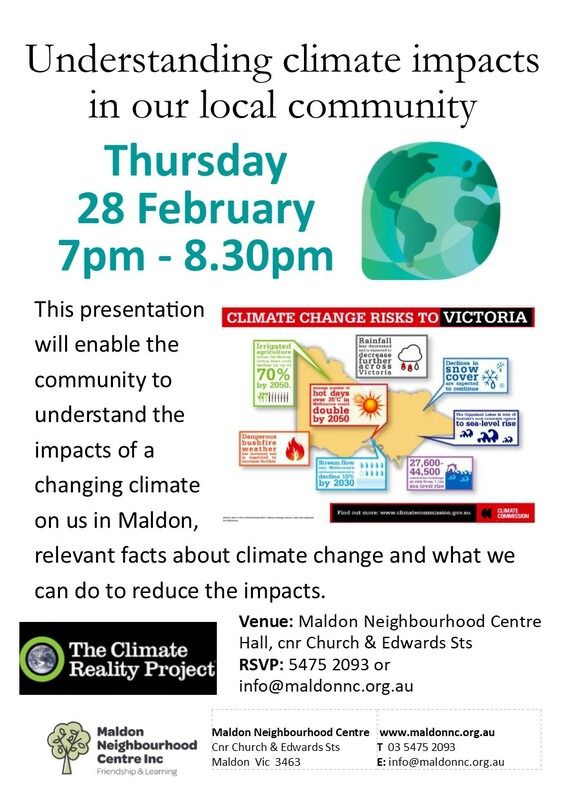 of learning more about impact of the changing climate in Maldon and how I can be invovled within a group that wants to work to reduce the impact. Please contact me regarding future meetings. Please contact Maldon Neighborhood Centre for further information – see blog post for contact details.